Washington, D.C., so the story goes, was built on a swamp. Over time the swamp got covered over by buildings and monuments. But all of that has not prevented the political quagmire that Washington now finds itself in, and the prospects for that worsening seem to be growing by the day. Two important deadlines loom later this year. The first is the September 30th expiration of the current funding bill for the federal government. The second will come in October or November when Congress will be asked to raise the debt ceiling so the government can borrow enough money to cover its bills. Amid this impending budget showdown are continuing efforts to pass some sort of immigration reform through Congress. The Senate has passed a comprehensive package with some Republican support that shores up border security and sets out a lengthy path to citizenship for many of the 11 million or so undocumented immigrants currently living in the U.S. The House Republican leadership has vowed not to take up the Senate immigration bill and will proceed to consider smaller bits and pieces instead. The outcome, obviously, is very uncertain. The record on Congress and President Barack Obama finding common ground on big issues like the budget and immigration is not encouraging. Already, both sides are staking out sharply opposed positions and talking points on the budget stalemate. That doesn’t preclude some kind of compromise. But it doesn’t look good right now either. The president recently embarked on another effort to refocus on the economy and helping the middle class. Democrats want to roll back the sequester budget cuts and find more ways government can stimulate the economy, especially job creation. The latest public opinion polls have plenty of bad news for politicians from both parties. 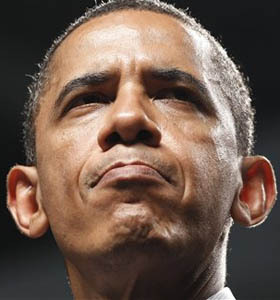 President Obama’s approval rating is on a downward slope. The Wall Street Journal/NBC News poll has him at 45 percent approval, about where George W. Bush was at this point in his second term. By comparison, Bill Clinton was at 56 percent at a similar point in his presidency. Of course, that was pre-Monica Lewinsky. But the news for Congress as a whole is even worse. Lawmakers got an 83 percent disapproval rate in the WSJ/NBC survey, and 57 percent of those asked said they would replace EVERY member of Congress if they could. Republicans get more blame than Democrats for the dysfunction in Congress. But it also seems like it’s getting to the point that the public doesn’t really differentiate between them that much anymore. The White House would like to boost the president’s numbers in the run-up to next year’s congressional midterm elections. The theory is that a stronger President Obama will help Democrats in the congressional races. At the same time, Republicans hope to target supporters of the president in their congressional campaigns. They hope to pick up seats in both the House and Senate, which historically happens for the party that does not control the White House in a president’s second term. 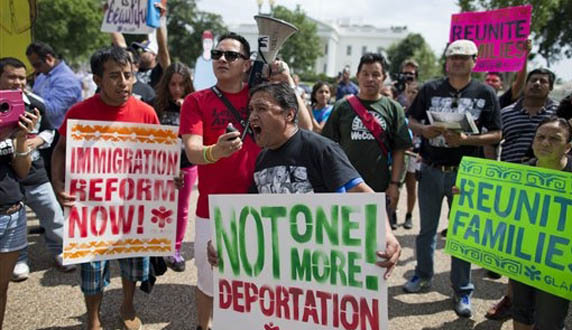 Immigration reform has consumed a lot of political oxygen in Washington in recent months. That could shift come September when lawmakers return from their August recess and begin to focus on the budget issues. There seems to be a loose consensus among the pundits right now that it might be possible for Congress to agree on some limited path to citizenship for the so-called “Dreamers,” the children of illegal immigrants. Some key Republicans, and I emphasize some, have hinted they might support a compromise that would allow the kids to eventually become legal, if it includes beefed up border security. But many of the Dreamers don’t like the idea that their parents would be left out in the cold in terms of their status. It’s possible some Democrats might reject this kind of compromise too and try to hammer the Republicans with the immigration issue in the 2014 elections. There are Republicans who want to do something on immigration reform, fearing that if they don’t they will be condemned to Mitt Romney-like support among minority voters for decades to come. But many others, especially in the House, are less worried with the party’s national image than with the re-election prospects in their own congressional districts. The redrawing of congressional districts based on the 2010 census has solidified a lot of Republican districts to the point that those lawmakers worry more about conservative challengers in a primary than they do about Democrats in the general election. The result of that is a lot of conservative Republican House members who have little incentive to make a big push on immigration. Then there are the special cases, like Iowa Republican Representative Steve King. 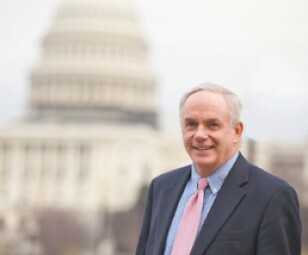 He’s made a national name for himself as a crusader against immigration reform, but his latest controversial comments drew fire even from fellow Republicans. King told a conservative Web site that for every young undocumented immigrant who is a valedictorian, there are another 100 out there who “have got calves the size of a cantaloupe because they are hauling 75 pounds of marijuana across the desert.” King refused to back away from this even after condemnations from House Speaker John Boehner and other Republicans. 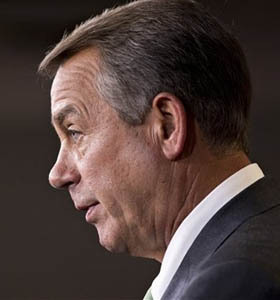 Unlike the budget issues, which tend to unify Republicans in Congress, the immigration debate has great potential to cause a divide within the party that could continue to play out right into the 2016 presidential race. Florida Senator Marco Rubio was a key player in the Senate compromise bill on immigration. He is now trying to find favor with Tea Party types again after some conservatives criticized him for his role in the immigration debate. On the other side of the issue is another potential contender in 2016, Texas Senator Ted Cruz, who remains firmly opposed to anything that could be construed as amnesty for illegal immigrants. No matter what the outcome of the immigration debate in Congress this year, count on it being front and center in the Republican presidential debates for 2016.